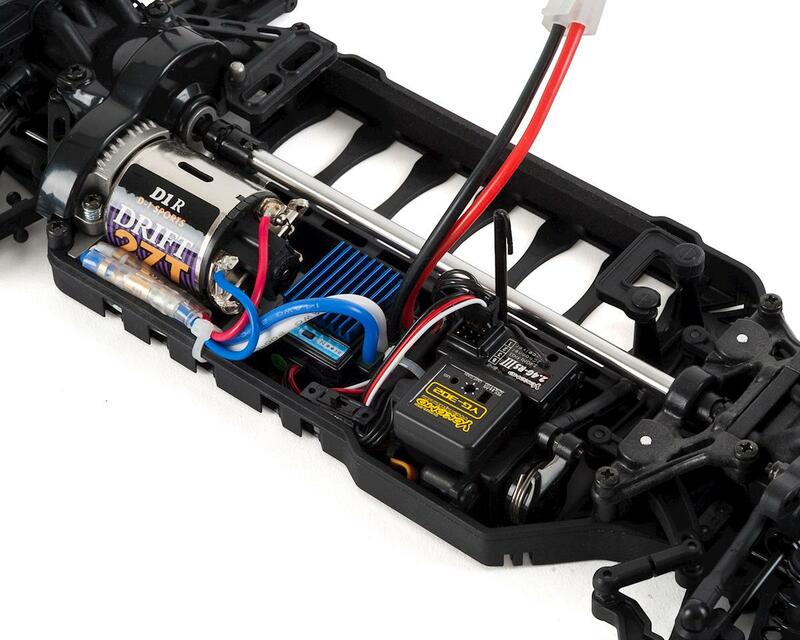 Assembled AWD Drift Car Kit with Transceiver and Gyro! YG-302 High Performance Steering Gyro: High performance gyro YG-302 is standard bundled. This is the equivalent to RPB-302 which achieved two times concepational won at D1-10 World Championship in 2016 and 2017. This is a speciality car to perform drifting at any surface such as snake drive on parking lot to drifting track drive. 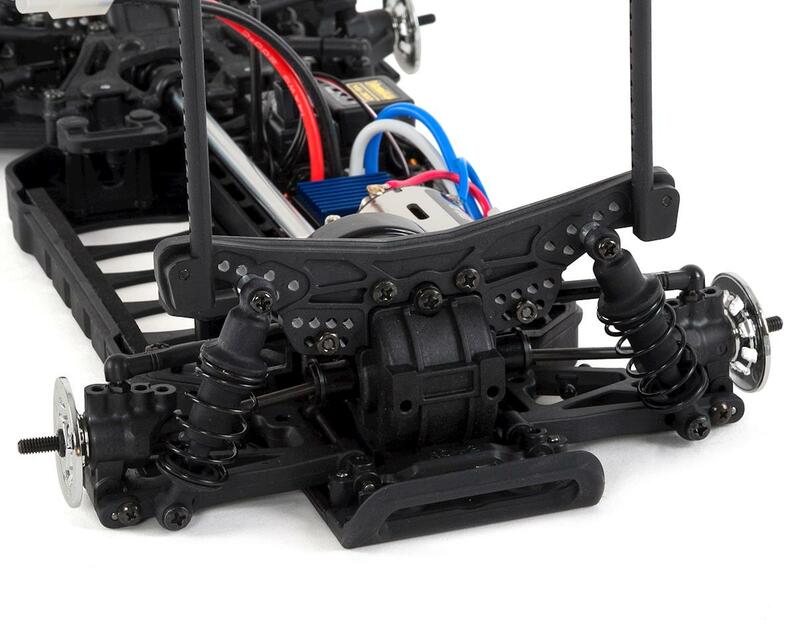 Kirekaku-Up Set (for maximum steering angle): By increasing the front steering angle, more stable drifting is going to be possible. 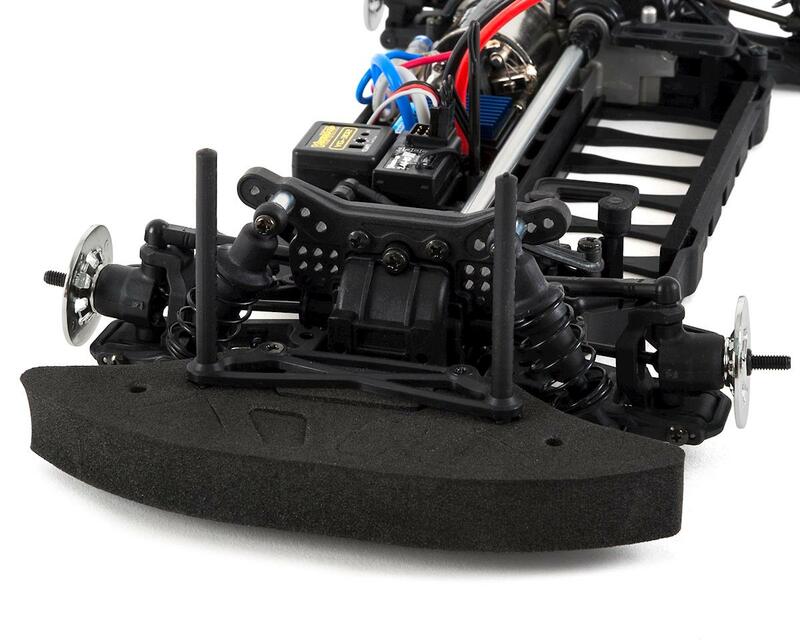 It prevents spin due to involvement during drift angle and runs corners brilliantly! Also, the appearance of the drifting will be more dramatic and you will be able to enjoy even more. Front Ball Differential: By applying ball diff for the front, more smooth and stable drifting will be possible even after the hard breaking at the corner entry. Even with rough throttle operation, it will be difficult to spin, you can concentrate on steering operation. 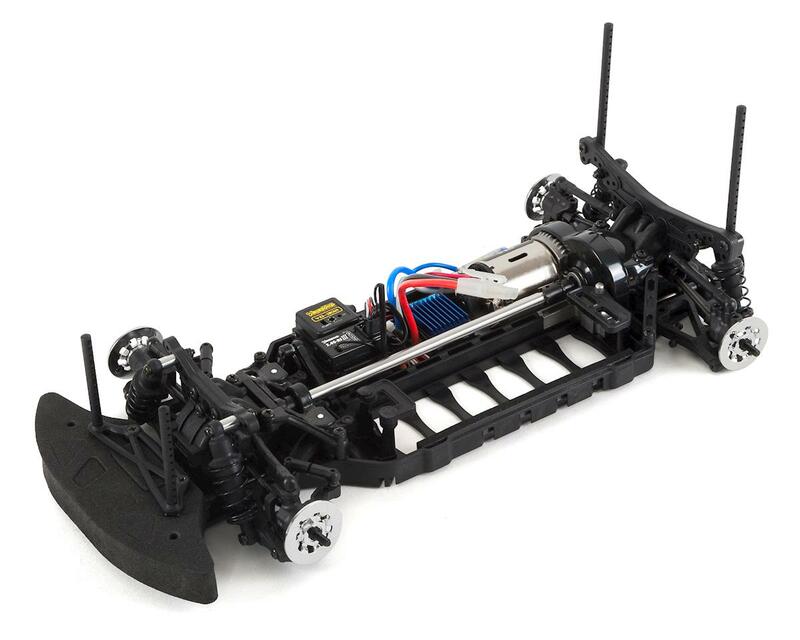 To finish off this model, you will need to supply your own 200mm lexan drift body, tires and lastly wheels.